I normally don’t share much about food just yet, but Marlon helped me get over my irrational fear of frying things because I’m so nervous he’s gonna catch my house on fire. 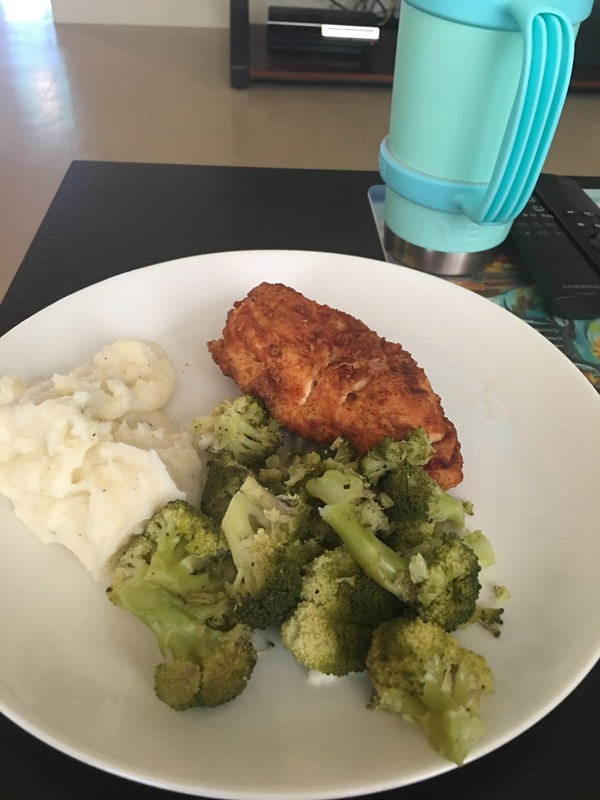 We made broccoli, mashed potatoes, and fryed chicken. It was so yummy! It was easy, the cleanup is what was a little annoying. Figured I’d show you guys what it came out like! Eating greens is something different for me, I normally don’t like them! Some reason now I am obsessed with broccoli, which I’m not complaining about. Happy with the outcome! Leave some comments on what you wanna see next!